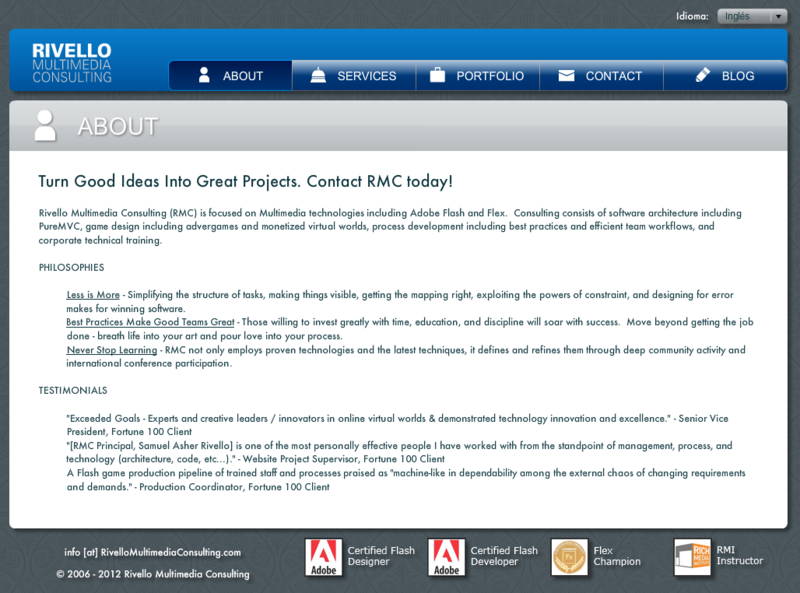 RMC v1: captures the ideal for a simple, readable design, global reach, and good illustration of PureMVC. 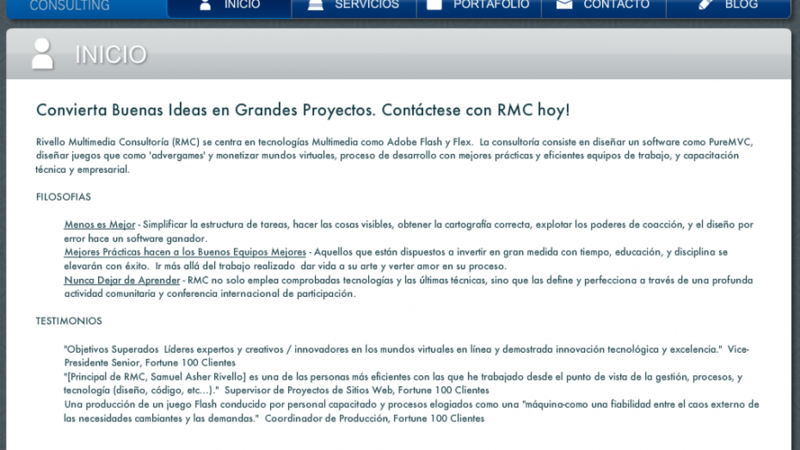 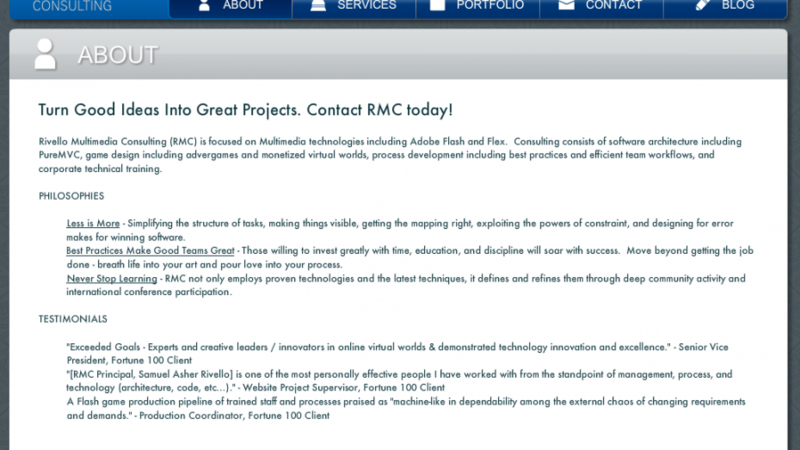 Role: RMC created the RMC website from start to finish - all aspects. 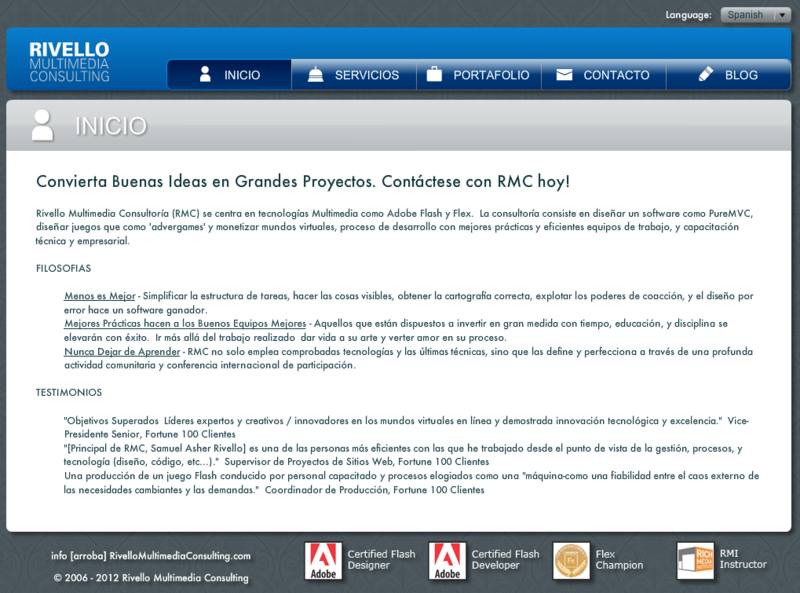 Flash Player for the browser.